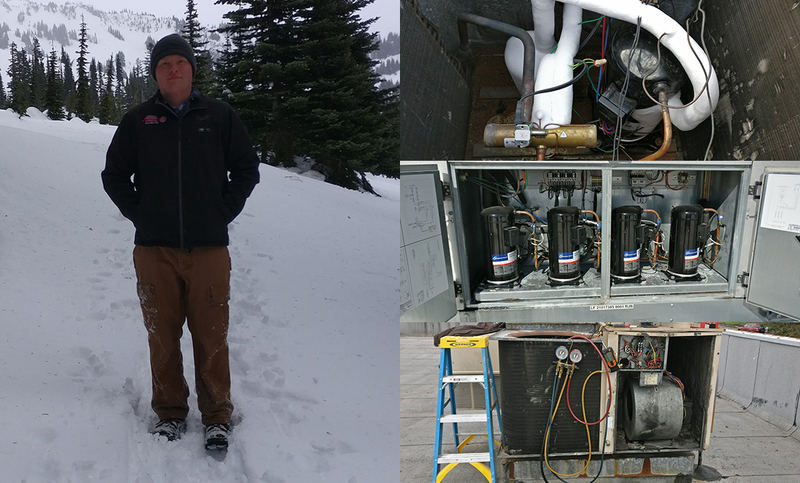 Why Choose the Heating & Air Conditioning/Refrigeration Service Technician Program? Almost every building has some form of heating, ventilation or air conditioning, and when those systems break it can cause an emergency. 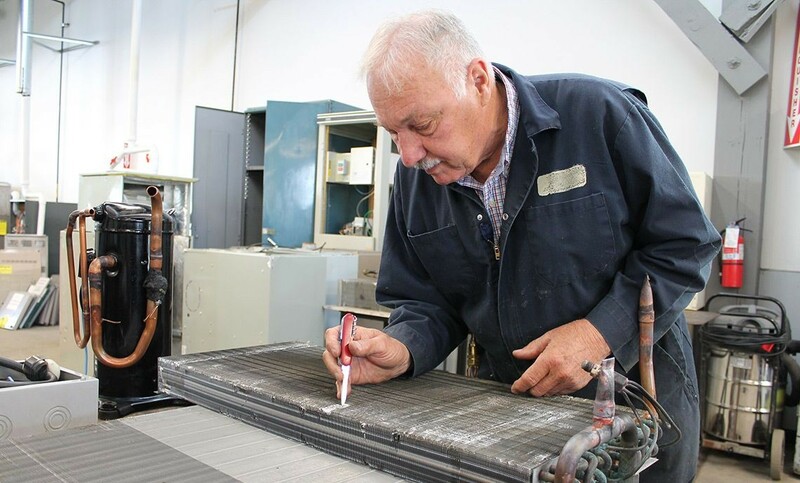 Our Heating & Air Conditioning/Refrigeration Service Technician program prepares students to handle those emergency circumstances with the knowledge, skill and experience to diagnose and repair the systems. This industry is already in high demand and growing quickly, and technicians with integrity and great diagnostic and repair skills can be rewarded with very high wages. Students in CPTC's program prepare for entry-level positions as service technicians, building maintenance technicians, equipment assemblers, and residential and light commercial installers. They get hands-on, work-based training through realistic activities on campus. If you have a passion for fixing things and are looking for an in-demand, high-wage career path, this might be the fit for you. Having the knowledge to diagnose and repair equipment in emergency situations is very rewarding! Our Heating, Air Conditioning and Refrigeration Service Degree is an inexpensive way to get started on a great career. HVAC is a high-demand, growing industry with a great annual income. Inspect, diagnose, disassemble, repair, replace, and service various types of residential and light commercial heating/refrigeration equipment with a high degree of accuracy and in a timely manner. After identifying supply sources and costs, write an estimate, including service, parts, and labor that is suitable for customers and billing purposes. Resolve customer needs, complaints, questions, and challenges regarding heating, air conditioning, or refrigeration equipment. Access manufacturing technical support and wholesale supplier technical support to apply manufacturers' specifications in repair and replacement of heating, air conditioning, or refrigeration equipment. Work safely and responsibly, adhering to shop safety and environmental standards and best practices. Correctly troubleshoot HVAC/R problems in computer fault simulation programs. Communicate professionally, courteously, and effectively with customers, fellow technicians, supervisors, and suppliers. Present proof of national certifications in basic electrical circuits, basic electrical diagnostics, principles of gas combustion, gas furnaces, electric furnaces, heat pumps, low-temperature refrigeration systems, and medium-temperature refrigeration systems. Work independently and in groups to service, repair, test and maintain various types of residential and light commercial heating/refrigeration equipment. Use HVAC/R diagnostic equipment and tools skillfully. Heating & Air Conditioning/Refrigeration Service Technician Program Information Sessions are hosted in Building 25, Room 200/202, at 3 p.m. on the second and fourth Wednesdays of the month. For more information and a complete schedule of session dates, click here. Not many people find their passion and dream job before officially graduating high school. 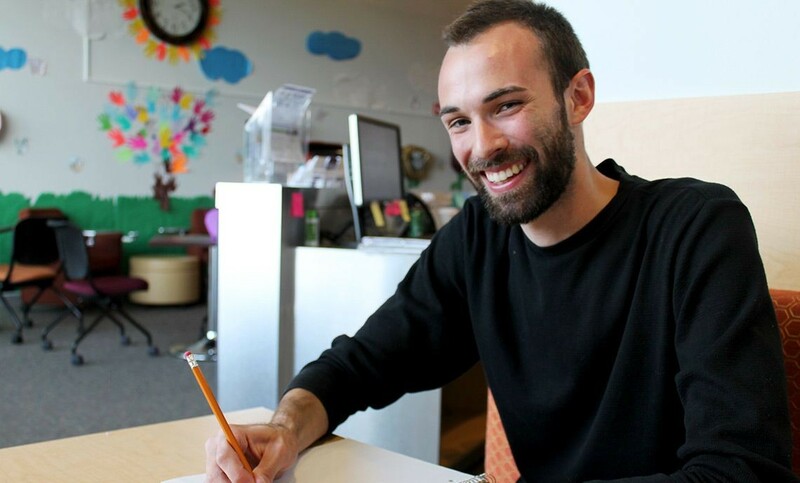 But for Clover Park Technical College Running Start student – and soon-to-be alum – Caleb Davenport, that’s exactly what happened. The War Production Training program started in shop buildings at Clover Park High School in 1941. After the war, the training programs continued for veterans and were then made available to high school students. With an interest in aviation, Richard Magoon chose to study aviation mechanics at Clover Park High School in 1949. There isn’t much of Clover Park Technical College’s Lakewood Campus that Bryan Daniels hasn’t seen. His education at CPTC started as a high school student at Northwest Career & Technical High School. After graduation he earned his associate degree in the Heating & Air Conditioning Refrigeration/Service Technician Program.